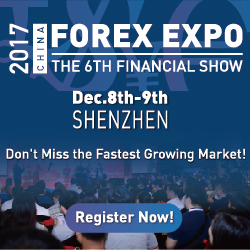 FXOptimax is a rapidly growing worldwide Online Forex Broker, which was founded in 2009 and is currently operated by FXOptimax Ltd, a Saint Vincent and the Grenadines registered company holding a license number 21417 IBC 2013. The core business of FXOptimax is providing an excellent online foreign exchange trading environment for our clients all over the world. FXOptimax clients have direct access to over than 40 popular forex pairs and precious metals available in global financial market. FXOptimax implements a cutting edge trading platform, allowing clients to get real time pricing and ultra-competitive spreads, along with really quick order execution. Following the rapid progression in FXOptimax client number, we have done several upgrades on our system within the last few years, aiming to continuously improving our contribution for client satisfaction. Company always share the believe that an excellent trading condition will boost trading profitability, paving the way for clients to achieve their success in forex market. In return of providing such services, FxOptimax always want to be the top choice by each trader, which is also giving us benefits. The mutual cooperation between FXOptimax and its clients becomes the main trigger for us to keep innovating. Grab $10 bonus for your first $10 deposit! All clients, both new and existing, are entitled for this promotion. Client may withdraw the profit anytime. Each client may claim this bonus once only, after making a deposit for at least $10. Bonus is available for 4-digits and 5-digits Precision Pricing accounts. 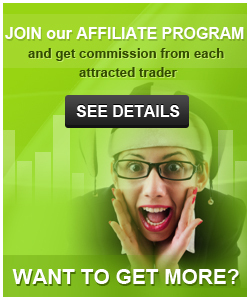 Client may withdraw the profit anytime and $10 bonus can be withdrawn after trading 10 lots. Bonus will be nullified if the remaining balance after withdrawal is lower than $10. Bonus claim will be approved if the current MT4 credit is 0. Referring Agents will receive rebate from accounts receiving this bonus. Participation of related parties to this promotion participant, such as families, person or entity, whose account is controlled by this client or having similar, partially same or entirely same data, are prohibited. FXOptimax reserves the right to disqualify the participation of these parties, cancel all orders, profit and bonus in suspected accounts. Any abusive or cheating attempts, including unexpected trading strategies, on this promotion may result in bonus and trades cancellation, including the possibility of profit withdrawal rejection. FXOptimax reserves the right to reject bonus request or block an account or remove the trades and profit, if there is a partial or complete match of IP, clients personal data or any indication of accounts belonging to a same owner. FXOptimax reserves the right to reject bonus request in a certain condition, without explaining the reason. FXOptimax reserves the right to update, cancel or end this promotion, by notifying on FXOptimax website or medias. Please login to MyFXOptimax and select Account->Claim Your Bonus. Please choose the MT4 number and the bonus you want to request. Our finance team will review your request within 24 business hour. This promotion started on October 1st, 2014. FXOptimax clients have the chance to earn 20% bonus for a certain amount of deposits in their MT4s. The bonus will act as additional margin and entirely usable for trading. Each trader may claim 20% bonus in 1 MT4 at a time, based on the deposit amount. Only for fresh deposits since September 23rd, 2014 are eligible, balance from another MT4 is not counted. Deposit must be done at once, for example, $100 is eligible for this bonus but twice $50 deposit is unable to claim $20 bonus. Client may request bonus withdrawal after closing a certain lots as illustrated above, calculated since the bonus is credited. Client may withdraw the profit anytime. Bonus will be nullified if the remaining balance after withdrawal is lower than the deposit amount requirement for the current bonus. For example, your account is currently having $100, you may withdraw the profit but the remaining balance should be at least $500. Any indication or suspicion of fraudulent attempt, manipulation, abusive or any other act with a lack of good faith towards FXOptimax will nullify the bonus. Promotion started from September 23rd, 2014. FXOptimax appreciates clients loyalty by rewarding up to $5000 rebate for constantly used accounts, depends on the total trading volume achieved within the first 3 months after the first deposit. Each client may request the loyalty bonus for 5 MT4s and immediate withdrawal is possible, without any restriction at all. Only 4 digits Micro and Mini accounts, and 5 digits Precision Pricing accounts opened after June 1st, 2014 are able to participate in this promotion. For existing clients, please add a new MT4 by accessing MyFXOptimax and select Account->Add New Account. Each MT4 has only one chance to claim this reward, up to 5 MT4s. Total trading volume is calculated within the first 3 months after the first deposit since June 1st, 2014. Client may withdraw the bonus immediately after receiving the bonus. 1. Click here to open a new account. Be sure to use an email address that is different from the address you used when you opened your original account. 2. Contact FxOptimax to have the funds transferred from your old account to the new one. No comments on this Broker yet. Write one now!